Pixar hasn’t let me down yet (well, except for maybe Cars 2), and ever since Toy Story, I have seen every one of their features in the cinema. I can depend on them to entertain me and to make me laugh, allowing me to immerse myself into worlds that don’t exist and to leave my sense of disbelief at the door. 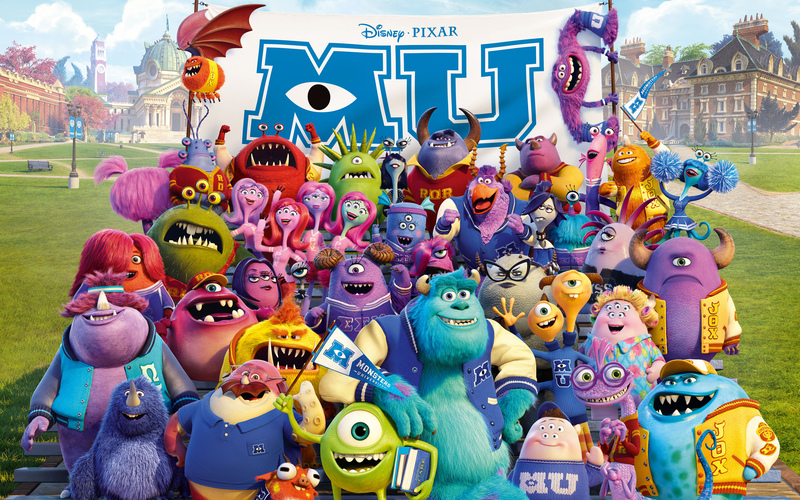 Monsters University, a prequel to the highly successful Monsters, Inc. does just that. For the entire runtime, I was completely swept up in the film, laughing and enjoying myself as only a Pixar film can make me; and while it may not have all the heart the first one has, it undeniably has a sense of fun, something most of the films I’ve seen this summer are severely lacking. We go back in time, and meet a very young Mike Wazowski (Billy Crystal), always the odd one out, and told repeatedly he can’t be what he wants to be, a Scarer. But after an incident on the Scaring Floor, Mike sets his goals, works hard, and heads off to MU to be the best monster he can be. 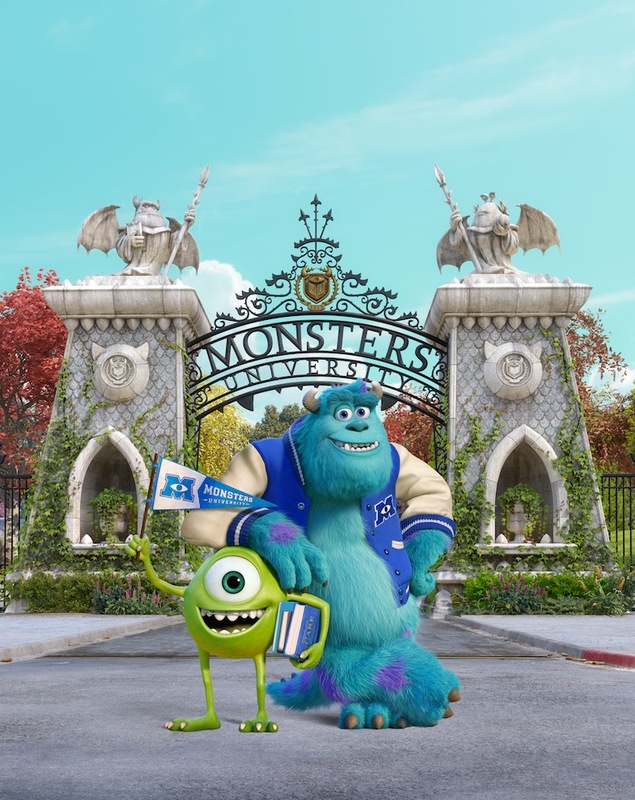 It’s there that he meets some familiar faces in Randall Boggs (Steve Buscemi) his new roommate, and the new big man on campus, James P. Sullivan (John Goodman), who believes he can coast by on his family name, and his really good roar. This puts Mike and Sully at immediate odds, as Mike has to study and work hard just to get by. But when they both get kicked out of the program by Dean Hardscrabble (Helen Mirren), the two must work together along with a misfit fraternity to win the Scare Games and get back into the program they both so desperately want to be a part of. The film introduces us to some all new monsters like Johnny (Nathan Fillion), Terry (Dave Foley) and Terri (Sean Hayes), Don (Joel Murray), Squishy (Peter Sohn), Professor Knight (Alfred Molina) and new fave Art (Charlie Day) as well as old faves as long as you watch for them! 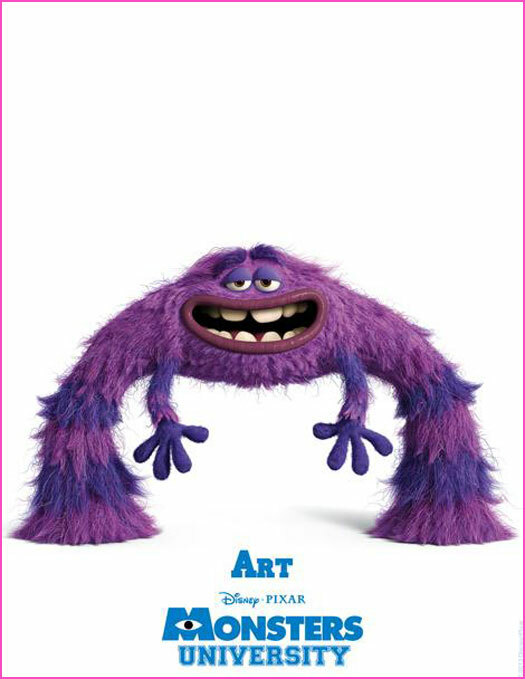 Once again Pixar has made a film that will appeal to kids, but has enough story, and grown-up jokes to keep us older kids involved as well – something that not only ‘family’ movies have learned to do yet. There were sight gags and laughs aplenty, and Sue and I walked out already quoting lines, and quite loving the time we spent in the Monsters world. One of the things I was quick to point out was that everything is colorful and bright in the Monsters world, but as soon as they pass through a closet door into our world, the monsters may look the same, but the texture of everything else changes, becoming more inline with our reality – its attention to detail like this, not to mention all the fur, hair, teeth, legs, water, lights, reflections and tons of other things that all have to be created and then animated to create a world that doesn’t even exist. Make sure you stay through the credits, and read all the flyers as they go by, for the final sting, which wraps up a fun little story thread. This one was exactly what I needed today, I walked out of the theater entertained and happy. Next Post The Mind Reels Chats With Gabe Grey!